Are You Chewing and Drinking Yourself Sick? The correct process of eating has been handed down by indigenous cultures to subsequent generations throughout the ages. Unfortunately, these common sense ‘rules’, which had been followed for millennia until the modern era, are no longer observed by most people. The ensuing imbalance and excess throughout the GI tract has been a contributing factor to various modern-day ills and ailments. Never has this prescription for good eating practice ever been more important. The modern era has now become so fast-paced that eating in a slow and relaxed manner is seemingly impossible. This state of affairs is causing an epidemic of stomach upset and other gastrointestinal disturbances. It is especially triggering much unnecessary gall bladder dysfunction as well as chronic indigestion. Why is it important to drink your food and chew your liquids? Because it is the only way to correctly mark your food and drink so as to truly make it your own … before you swallow it. Make it your own? What exactly does that mean? The longer an individual slowly and thoroughly masticates his/her food, the more that food is mixed with their saliva. In this way the food is literally changed into a form whereby the body literally recognizes it as its own, not as a foreign substance. The longer the food is chewed in this manner, the more information is conveyed to the rest of the digestive system. This significant information tells the stomach and small intestine what kind of food is coming down the esophagus. This unseen communication process ensures that the right types and amounts of digestive enzymes and HCL are secreted for proper digestion. Proteins and fats require a certain mix of enzymes, as do carbohydrates. Likewise, when an individual is drinking their beverages, they must be especially careful not to gulp down a fruit smoothie or a freshly squeezed vegetable juice. That liquid food must also be made their own, and the only way to do that is to chew it — thoroughly. Hence, proper eating practice subscribes to the time-honored advice that you “Drink your food; chew your liquids.” In this fashion, the food becomes so well masticated that it becomes liquified. The drinks are also thoroughly chewed, treated as though they are solid foods, before swallowing. Just How Important is This Practice? It all depends on how sick or well an individual is, as well as what their chronic ailments are. Simply put, if you want to heal what ails you quicker, you ought to follow this eating prescription religiously … as in every meal and snack and drink you take. If you show no outer signs of illness and you would like to stay healthy, again, this sage advice ought to be followed reflexively. Yes, it is difficult to maintain such discipline because of so many rushed business lunches and talkative suppers. However, it is in those contexts when food is often shoved down the pipe with inadequate chewing, thus causing ama to be generated as a waste product. According to Ayurveda, ama is the waste product which always occurs as a result of improperly digested food and drink. Even though one may have no outward signs of ama buildup, it will always have to be removed from the body. It accumulates in all the compromised organs and organ systems, body tissues and spaces. 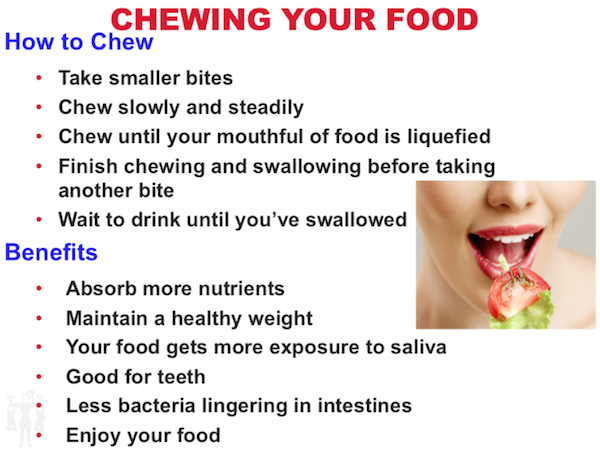 There are those diseases and illnesses which require a greater commitment to chewing properly. Anyone with an ailment which so compromises the GI tract that emaciation occurs, should consider this practice more seriously. 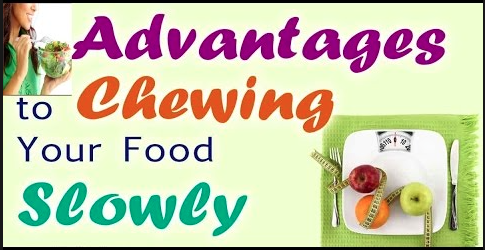 If it becomes hard to maintain a body weight due to malabsorption, weak assimilation or inefficient uptake of nutrients, chewing becomes that much more essential. Likewise, anyone who has had issues with parasites, candida albicans overgrowth, recurrent stomach flus, food poisoning, or bacterial infections anywhere in the GI tract ought to embrace this chewing practice. Many would probably agree that “Slowly,” “Thoroughly,” and “Thankfully” are quite straightforward. But what about the other two? To chew “Consciously” is to eat and drink with a presence of mind that is focused on eating … not worrying about the morning’s problems or the afternoon’s challenges. 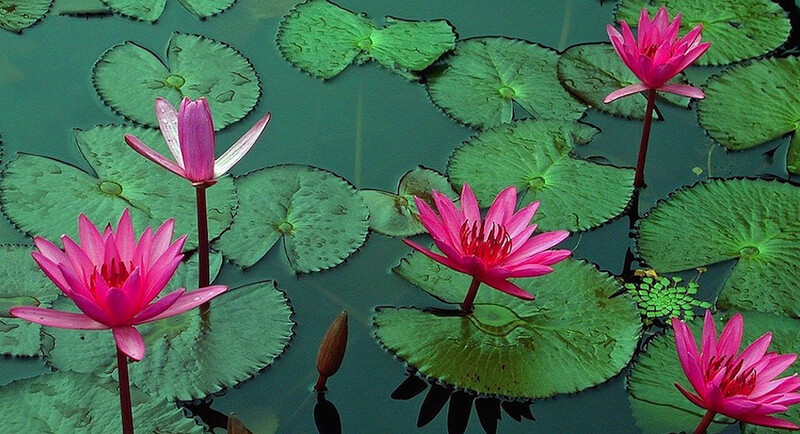 It is eating in the present moment, not rehashing the past or fretting about the future. As for eating “Spiritually,” we will leave that one for the reader to understand based on their own spiritual and/or religious orientation. We will say that the more one views their food as blessed and benevolent and sacred, the more it will heal and rejuvenate, cure and energize.